Asics has introduced a new footwear model -The Gel Court Control. It is a true high-tech shoe designed exclusively for people to play fast indoor sports like table tennis. The top model of Asics offers many technical highlights. 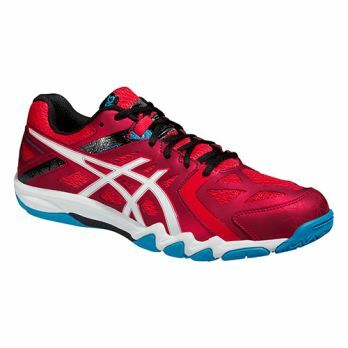 It is a top performance table tennis shoe that well matches for most of the players. The Gel Court Control has been designed to meet the needs of the courts, as well as its own foot, with the look, grip, stability, cushioning, soles and breathability. What’s Good About The Shoe? The new Asics Gel Court Control has been developed for experienced squash, table tennis and badminton players who want great stability. 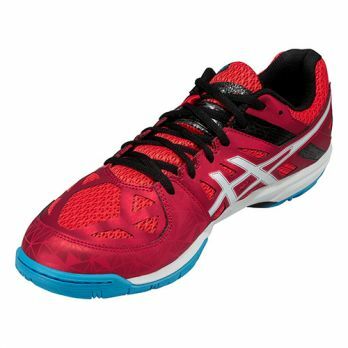 However, it does not build as high as its alleged predecessor, the Gel Progressive 2. It looks quite different, by the way. From the sole, it looks like the new Gel Blade 5. Some people are having an issue with its color that comes in red and purple, they would think it is somehow very ugly color to wear on their feet. There is a general indoor shoe on the market. And in every sport, it is then claimed that they were developed exclusively for specific sport. That’s where the Gel come into play as well. Personally, I ever have a pair of Gel Beyond 3, as I best go with those which is relatively high sole with super damping. However, the size may not be so accurate with the actual one. Even if the size is 44, but actually it only corresponds to a maximum size of 43! Some people thought that the shoe is rather a joke for them. They claimed that the Court Control looks exactly like the Gel Blade 5. But the Court Control is once again a bit more expensive. They are not really buying into it as they recall the same strategy existed before. There was a model of Asics which looked exactly like the Gel Blade 3, which was selling at a lot more expensive price as well. By the way, I used to have the Gel Blade 5 in contrast to Gel Blade 3, which was indeed flat and direct. While to try the new released of Asics shoe myself, I just bought the Court Control. This has more damping and more stability on the edge. Since I had both in comparison, I would think the edge of the Blade 5 is somewhat too soft. While the Court Control is giving me with more damping over the whole foot and stronger edges. The lacing is different in court control. I do not feel more confident about kinking very important and this is enough for me to pay the additional price. I find the Court Control really good and would recommend it. However, everybody foot is different and also different people did have different preferences. So, it is best for everyone to test the shoe for themselves. The size of the shoe that I bought is 43.5 because I have pretty wide feet. My girlfriend bought the same shoe with the size of 39 but she found it is almost too narrow for her to fit on her feet. It was tormented and the most nauseous pain at the sides can be felt by her just after a short time because the feet stop in the middle is being squeezed so tightly. However, the grip seems to be quite well. She was wearing the Asics Gel Hunter II to play volleyball and even though it was a solid shoe, it just seems to be a bit “thick” for her. I also found it is a good replacement for Butterfly shoe. Like the Gel Blade 5, it is also a good shoe, and I surely can handle it in a good way. For me, the grip, the weight, the agility and the proximity to the ground are important for me. Of course including the stability and cushioning play. And the Court Control can just offer me all the features to me. I am very satisfied with the shoe. The dynamic wrapping design of the shoelace of Asics GEL-Court Control shoes makes the feet feel more comfortable during the movement. The low-rebound sponge embedded in the ankles will form a memory foam with the individual feet to create a unique shape. The shape reduces the gap between the foot and the sole, which greatly improves the comfort feel. The SPEVA has both cushioning and rebounding ability, making the midsole less prone to collapse. The bottom of the forefoot is designed with a beige bottom and an AHAR material. While maintaining the same lightness and grip, it exerts about 2 times the wear resistance. The non-marking rubber makes the shoe show no trace of shoe mark on the floor at all. The bottom is made of NC viscous rubber which makes the shoes can strongly withstand the slip. The grip is more firm as well. The midsole is made of elastic anti-vibration piece. It is a reinforcing structure that improves the rigidity of the midfoot and strengthening the stability of the foot. After warming up for 20 minutes by wearing the shoe, I have already noticed the cushioning effect of it. Although it is not as good as the running shoes, it offers me a good sense of stability. There is no dragging feel and the foot has a good cushion after landing. Especially the rear heel is very sensitive to the feedback of the damping unit, which obviously provides strong support for the foot and leg. The outsole of the shoes adds extra points to the grip experience. Without any water stains, it will not slip on a concrete or tile floor. Even on the wooden floor with some sweat or moisture, it can still offer me with very good grip. 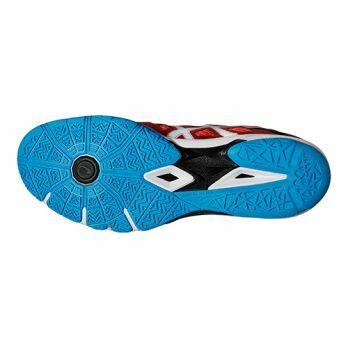 The outsole can smoothly complete the foot movement and the emergency stop at high speed. 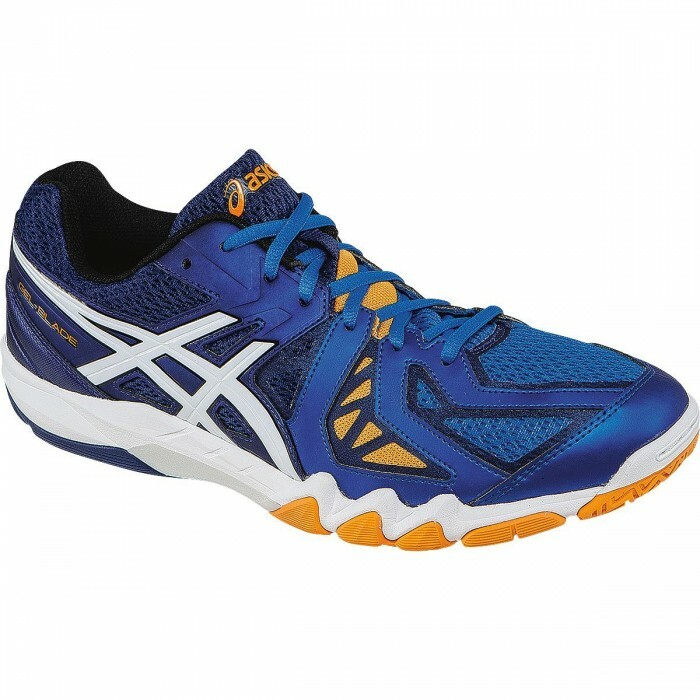 The ASICS Gel Court Control shoe is a representative of high quality, high performance, high-tech, and professional table tennis shoes. The stylish appearance and innovative materials make it stand out from other shoes. So, just go and wear a pair of ASICS Gel Court Control shoes on your feet. Let you be more calm and confident in the court and winning the game.